Meguiar's Boat Polish is engineered to restore your boat's gel coat and painted surface to an optimal gloss. 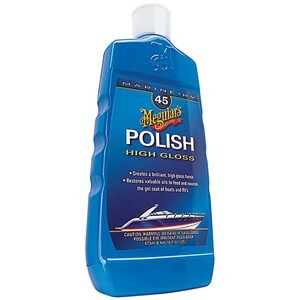 This boat polish helps to restore valuable oils and revive the surface of your boat. See the difference before and after with Meguiar's Boat Polish. Is especially effective on dark colors and also works with RV's as well.